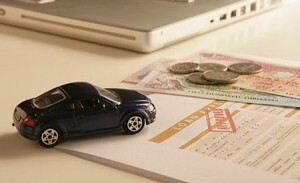 Annual car insurance renewals can often sneak up on you without you realising. With the numerous other admin related tasks to worry about such as car tax, MOT and servicing, it is easy for car insurance to become sidelined. Companies can often take advantage of this and sometimes increase the quote of your premium from the previous year. By planning ahead, you can allow yourself to shop around and find the best insurance option to suit you. Here are a few tips for saving those extra pounds. Set a reminder: Work out when your insurance policy is due to expire. Set a reminder either on your phone, in your diary or on your laptop to bring this to your attention around six weeks before you’re due to renew. This way, you can set aside a few hours to find the most comprehensive and value for money policy. Do your research: Online comparison sites are great for giving you a snapshot of what types of policies are available for what prices. However, certain insurance providers choose not to participate in online comparison, preferring customers to visit their site directly in order to provide more bespoke policies. Because of this, finding the best deal can involve a little leg work but could ultimately save you money. Check out insurance forums and blogs for any new players in the market. Keep a note of any good quotes you see and write down the date it was given and which comparison site you found it on. A good way to record details is to put them into an Excel spreadsheet. You can then easily access any data you need quickly and easily. This can come in handy for step 4. Take the added extras into account: Many companies offer a variety of additional benefits to accompany their cover. These can include anything from free windscreen chip repair to a courtesy car during repair work. Some companies offering policies exclusively for women even offer handbag content insurance cover. One crucial policy factor is legal protection. Most policies do include this but double check it’s included in your quote rather than added on as an additional cost. Don’t be afraid to haggle: Using your spreadsheet, phone companies directly and let them know the lowest quote you have been given. They are all competing for your custom and will often offer to match or undercut your quote as well as occasionally throwing in one or two of those all important added extras! Forward planning and a little preparation are certainly worthwhile. Not only will the stress be taken out of finding car insurance, but you could save a considerable amount of money in the process. For further information, you can find out how to get the cheapest car insurance deals offered by Axa Ireland by visiting their website today. Happy haggling!